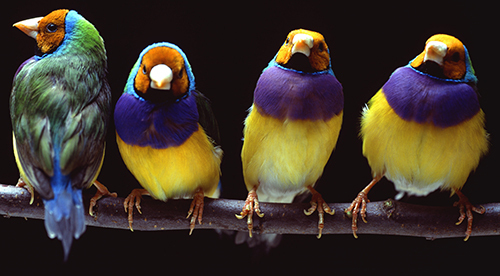 Birds of a different feather: What are the qualifications that set you apart from competitors? When making the big decision to hang out your shingle, how much effort does it take to be sure your marketing will make clients want to raise the roof? The amount of effort that goes into your marketing strategy doesn’t have to be overly time-intensive or stress-inducing — as long as you have a solid understanding of effective real estate branding. Being clear about your professional identity can help you create a real estate brand that fosters unity in all of your future marketing campaigns. Take the time to ask yourself a few questions about the types of buyers and sellers you’re best equipped to serve. What are the qualifications that set you apart from competitors? How can past success become a selling point in the future? There should be no mistaking the impression you hope to make because, even though they may not know it yet, buyers and sellers need you, and good personal branding has the potential to show them why. Having identified everything that sets you apart and taken stock of the primary market you intend to serve, getting down to the nitty-gritty stuff — logo design, color schemes, listing advertisements — is easier than you think. If you’re just starting out and still in need of a logo, commission a graphic designer to work some magic on your behalf. Often, creative typography can turn your name into an eye-catching, recognizable symbol. Take advantage of easy-to-use online tools that are available to help you choose a color scheme, such as the Adobe Color CC, which automatically generates precise complementary colors and hues based on any given color or image. Do your best to determine some stylistic guidelines for your printed listing materials, like flyers or magazine advertisements. Find ads you like and use their design elements as a model to get your own creativity flowing. Don’t hesitate to quickly sketch things out — it will help you visualize the end result. When top-producing Florida Realtor Gary Bartlett gave up his job as a local news anchor to try his hand in the real estate market, it didn’t take him long to recognize the importance of details like brand awareness. Bartlett said in an interview with Homes & Land. Now that you’re ready to make a great first impression, it’s time to concentrate on the second, third, fourth, fifth, sixth … well, you get the picture. A consistent approach is proven to be the best way to win the hearts, minds and attention of consumers in nearly every industry. For the buyers and sellers in the real estate segment, a regular appearance from you in their favorite local magazine can go a long way toward building brand recognition. There’s no doubt that magazines with a targeted distribution system garner a loyal readership. A majority of Homes & Land readers — 71.6 percent — report frequently reading a copy of the magazine, with many of them engaging in every issue. Being seen consistently, both offline and online, can go a long way toward establishing and maintaining a foothold in your target market. A buyer on the verge of kicking off a home search, or a seller testing the waters before jumping into the market, are both more likely to discover and remember the agents they see on a regular basis. Keep in mind, too, the more unconventional ways to be seen and recognized. Using your knowledge of the local real estate market to compile and publish a market report can enhance your reputation, which will help build trust and instill confidence. A market report will also be a magnet for your ideal clients, as facts and information about the area you serve can be plainly delineated and your analysis can present context and clarity. Social media sites deliver some obvious branding opportunities, including personalized profiles, seemingly unlimited potential to grow your network and a platform for ongoing dialogue. Investigating a few more of the ways the Internet can affect your real estate brand, though, leads to new considerations. Where is your name and contact information placed in relation to the listing on a web page? Is it buried at the bottom? Look for real estate sites that keep such vital information about you above the scroll. Does the website offer any way to feature you or your agency in a more prominent position? There should be an easy way to search for you, as well as options to increase the likelihood you appear among more broad search results. If you’ve been showcasing your knowledge in printed market reports, is there an option to make it available online? The information in your report is valuable to potential clients, so a real estate website should be able to give you a means to publish it online. The right branding strategy will help all of your marketing and advertising fall in line. And just for a little reassurance, remember that great and important brands can come from humble beginnings. As proof, one such brand is listed by Forbes Magazine as the most powerful in the world — as we all know, the seeds that grew to be Apple Inc. were planted in a garage.